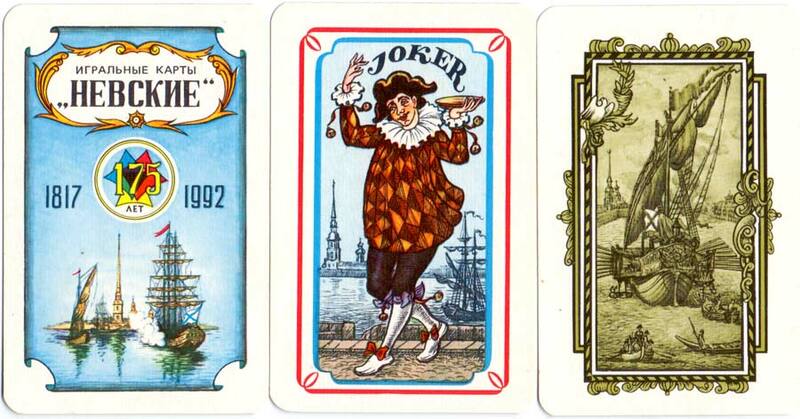 Neva playing cards were designed by Victor M. Sveshnikov and manufactured by the Colour Printing Plant, Saint Petersburg, to celebrate its 175th anniversary (1817-1992). 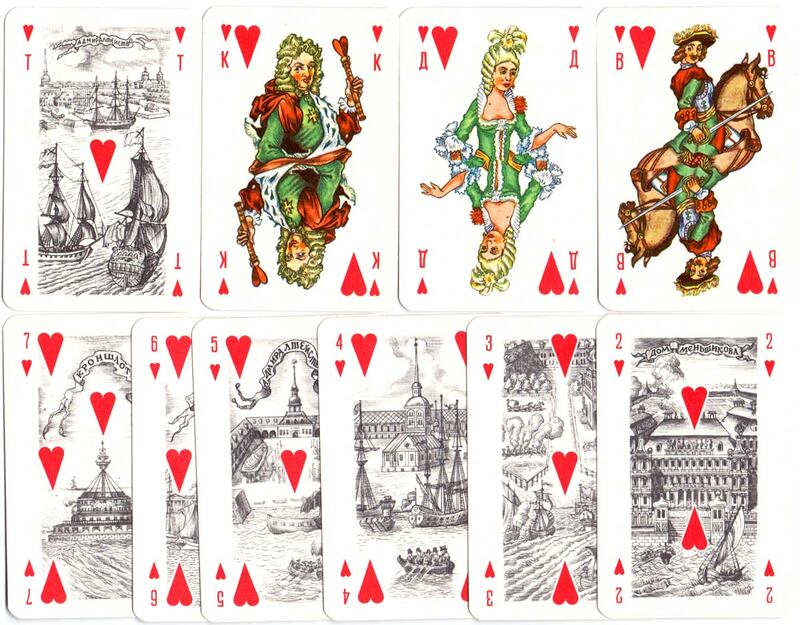 The illustrations on the aces and number cards depict the river Neva, one of the largest in Europe and which flows through Saint Petersburg, with buildings and maritime items associated with the city. 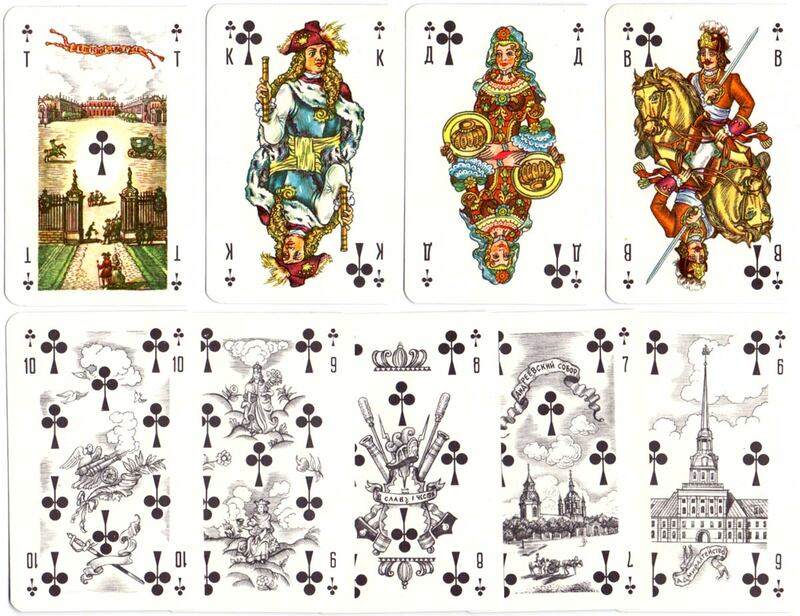 The court cards probably represent persons from the time of Peter the Great who founded the city in 1703. 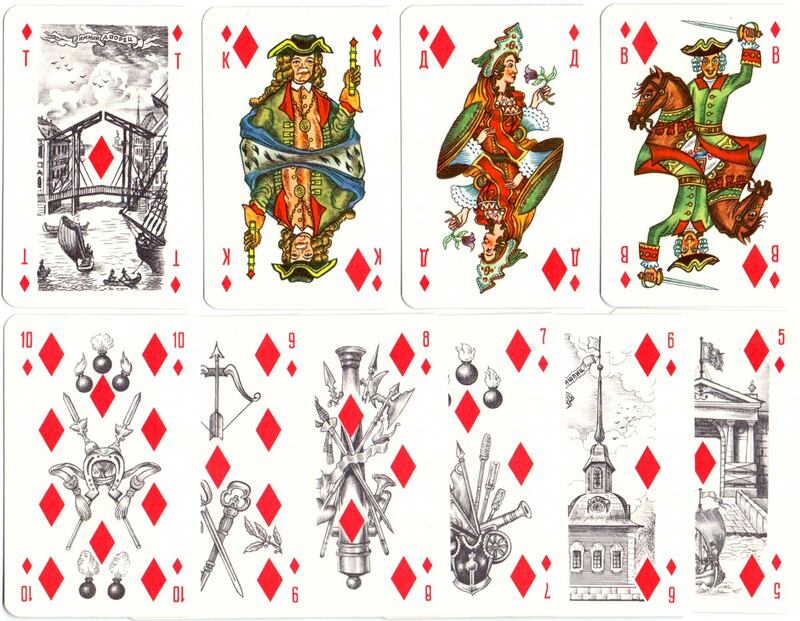 Victor M. Sveshnikov also designed Opera & Theatre playing cards (1973) and “Maya” playing cards (1975). 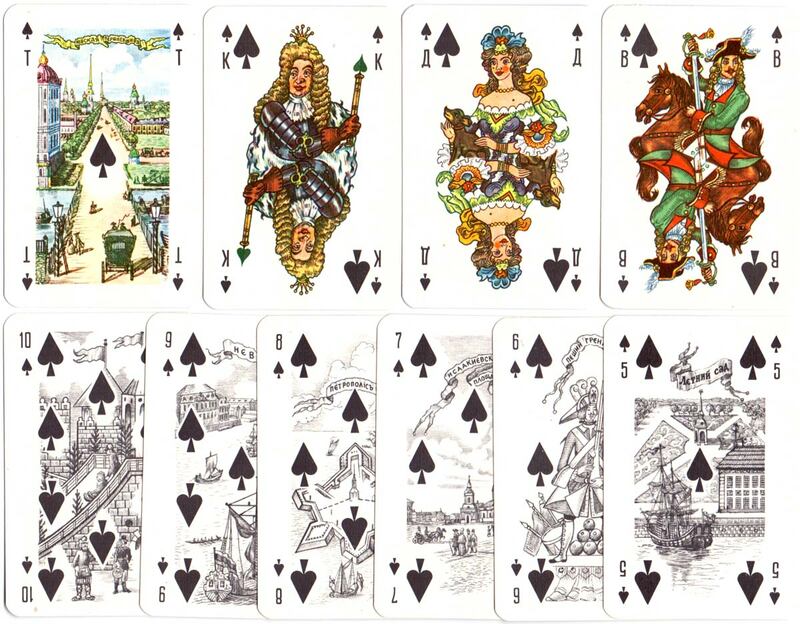 Above: ‘Neva’ playing cards designed by Victor M. Sveshnikov and manufactured by The Colour Printing Plant in 1992. 52 cards + 2 jokers + title card in box.